In my opinion this sequel to Rebel Belle was just as good. I enjoyed the Buffy the Vampire like humor as well as the Southern references that I could definitely relate lol. I was a little sad that the novel was so short, only 273 pages but it didn’t feel rushed in my opinion. It wrapped up very nicely and the ending was not what I was expecting. I refuse to read the 2 chapter sampler at the end of the book because I know it would drive me crazy to have small tease lol. I rated this book a 3.75 stars out of 5. 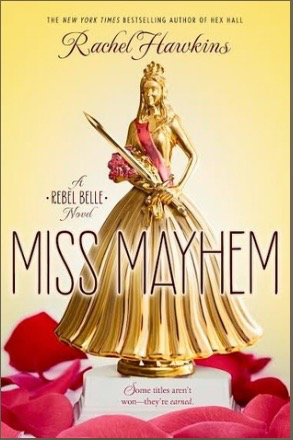 If you enjoyed the 1st book in this series then Miss Mayhem is worth the read. Let me know your thoughts on this series. Happy Reading Y’all!!!!!!! !